We know it’s been awhile, but SIP has life! 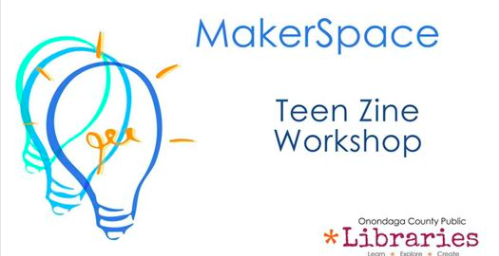 Come see us at the OCPL’s Central Library Makerspace this Friday, March 24, from 2-4 p.m. Patrick and Jason will speak briefly on zines, but much of the workshop will be spent talking and chatting with other makers about their work and self-publishing projects. We’ll have a range of materials to draw from, including a copy machine, but you’re welcome to bring and share any content you’re working on — poems, stories, collage materials, etc. Hope to see you! In the meantime, check out our recent plug in Syracuse.com.